* Total number of reviews and star-ratings are based on data collected during the time period Cravens Electric has been using the ReviewBuzz system and may not directly match the data found on each public review site. I’d give Oscar and Christian more stars if I could! They installed a ceiling fan in our two-story living room using a very tall ladder. They were very conscientious not to ding doorways, or walls while bringing the ladder in and out. They both were very knowledgeable and pointed out issues with our original wiring, and made thing right / safe. Thank you for a great experience!! Oscar was my service pro. He was here within 1 hour of my call. Courteous and fast! The work was completed (replacing GFCI outlet) in 15 minutes. Oscar told me exactly what to check for next time. Great job! Nice people! Oscar was excellent. He was polite, gracious, thorough, and told us exactly what he was doing. Couldn't have been any better! We're very pleased and will definitely recommend Cravens Electric to others. Excellent service from Cravens Electric resolving a couple of electrical issues in my home. Oscar was punctual, professional, knowledgeable, very polite, and efficient. He took the time to explain the problems and how he resolved them. The final cost was as originally quoted. Thanks, Oscar. Not often does one find specialist contractors like yourself. We have an older home and had several fixtures replaced, service panel replaced and outlets and switches brought up to standard. Oscar outlined the work. Chris M, Larry and Israel did an excellent job doing the work, figuring out solutions to problems that arose. All of the Cravens team worked long and hard to complete the work as planned. We recommend them and thank them for their service. I had a new 100 amp panel to replace one in kind. I was able to get Oscar out within in an hour and he called when ha was on the way. He was very knowledgeable and explained everything to me. He gave me a written estimate on the spot. Cravens was not the cheapest but they they had a five star rating and were able to do the work the next day. Oscar sent Christian as the supervisor and Israel as his apprentice? Both of them were very pleasant and very professional and were able to answer all of my questions, explaining the installation as they went along. Israel seemed to be doing most of the labor but Christian was right there with him assuring that all of the work was up to his standards. The work was completed in a timely manner and temporary power was supplied during the installation which was a big help. The team cleaned up and left the job site in good shape. 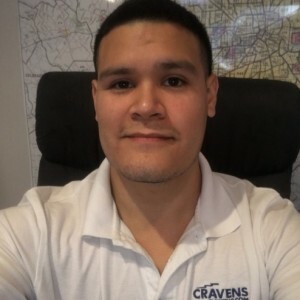 All in all I am very satisfied with the whole transaction and would recommend Cravens and this team for any electrical work. They were very professional and thorough. Did a great job! Cravens's service was great. Cravens's employees are polite. Cravens team kept me informed during the entire process. Everything worked great after the Cravens team left. Cravens had a total of five employees working at one time at my home and up to five employees total. I will definitely be calling them in the future. Cravens electric is the best!!! 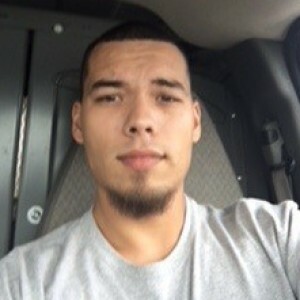 We were in a real emergency situation and needed work done over the weekend and Oscar called Christian M. in and asked him to do the job on his day off and he did it!! He replaced our breaker box and got us up and running the same day!! Everyone else we tried wanted us to wait until the following week and that is a long time to stay in a hotel with a family of seven!! 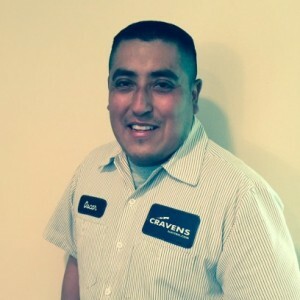 Thank you to Oscar and Christian, we will tell everyone that Cravens electric is the best, hands down!!! Oscar did a great job explaining what I needed to connect my portable generator into the house safely. He did a great job and will call him for all future electrical needs! Cravens ended up completely rewiring a 1935 home for us and there were many hiccups not caused by Craven but they made it right and in the most timely manner possible. Thank you Travis, Oscar and Colton! They constantly took the time to explain everything going on and were professional the entire job providing excellent customer service. Bryan Haywood was very professional, knowledgeable, and pleasant to be around. He's a nice person, he fix my problem in a time. I would give him 6 stars. Bryan did and awesome job for a great price! 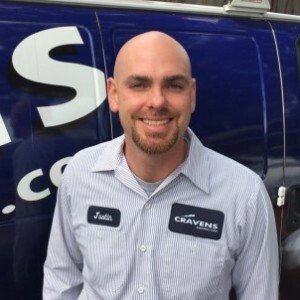 My husband called Cravens and said that the customer service was probably one of the best he's experienced so far. Oscar came to our house and he did a great job. He got here on time, was super friendly and nice! Totally recommend him! 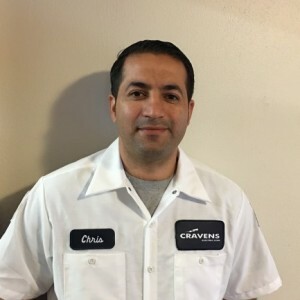 Customer service is always a top priority at Cravens Electric. Our BBB Membership A+ rating is like a badge of honor as we continuously strive to provide the best experience for our clients.